Big thank you to Scout Press / Gallery Books for our copies in return for our honest reviews. "I expected more of a reaction the first time I hit her." Fantastic opening line for this debut novel and had me intrigued from the get go. I could tell by the first few chapters that this wasn't so much a thriller as was a tale into the mind of Oliver, a sociopath who leaves his wife for dead. The question isn't who did what... the question is why? Why would Oliver, who has a seemingly perfect life, want to ruin it in one compulsive act? 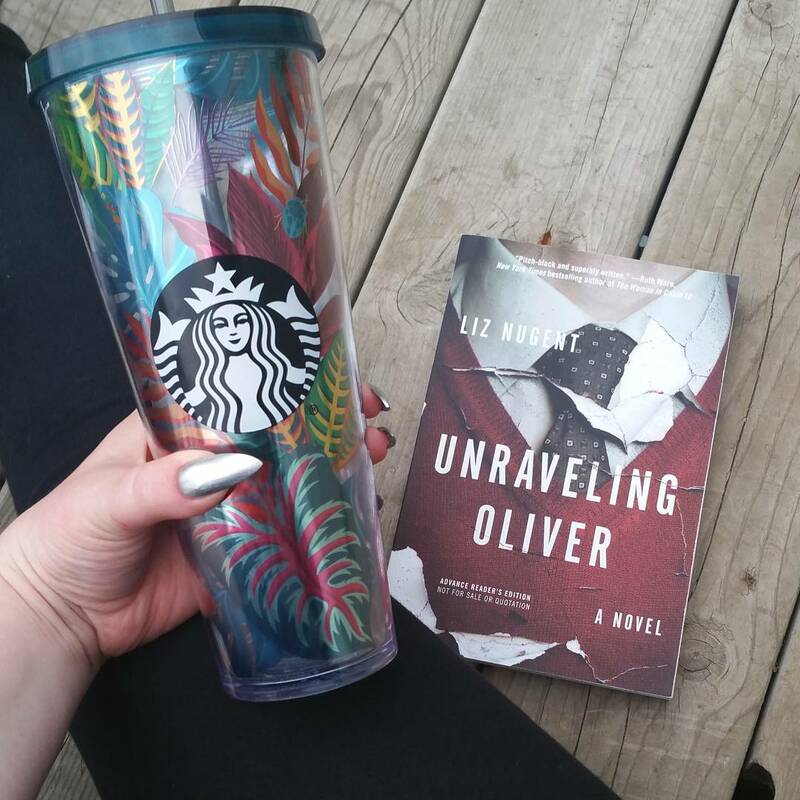 And so begins the journey into his past while we see the appropriately titled unraveling of Oliver. The opening lines makes it seems like there's numerous occasions of Oliver beating his wife and that is not the case. This isn't a spoiler, we know this straight off at the beginning of the book. The chapters vary from character to character - through Oliver's eyes and those around him, but strangely never through his wife, Alice's POV. We also vary from past to present throughout each of these POVs to get a good round about feel of Oliver and how he has affected those around him. While there were some inconsistencies throughout the story, I felt that overall the writing was good. 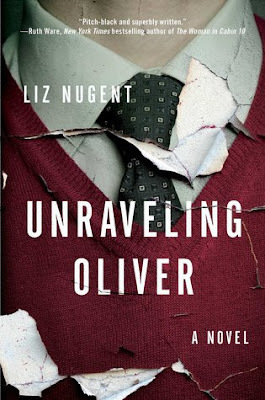 I liked the unique take on getting to know Oliver and how his past contributed to his warped sense of adulthood. For me, the ending fell a bit flat. I wasn't expecting some type of huge revelation or something to shock me, but what I felt had so much potential just didn't quite reach the crescendo I had hoped for while I was reading. I was fascinated and in it for about the first 80-100 pages then found myself losing interest throughout the last half of the book. For those who like the lighter suspense with the why factor being more the forefront of the story rather than the whodunit plot line, this will be a good read. For a debut novel, the writing was well done in it's unique manner and for that, I'll go with 3 stars. 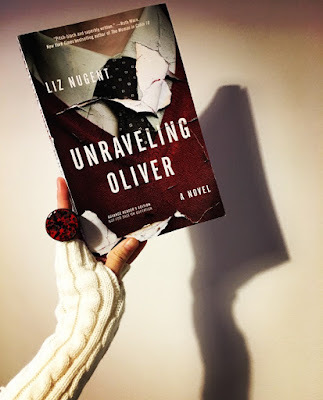 Most suspense or thriller novels we're trying to solve who did it, but in UNRAVELING OLIVER by Liz Nugent, we know exactly who did it. Alice is in a coma, and we know exactly who put her there, her husband Oliver. But why did Oliver do this to his wife? We're brought on a powerful journey through stories from acquaintances and friends about the lives of this seemingly perfect couple. This opening line really sets the tone for the rest of the book. Oliver only hit his wife twice. The second time he put her into a coma. The reader is now trying to find out why Oliver did this to his loving wife. The two write and illustrate children's books together and have a seemingly perfect and easy life. So when Alice ends up in the hospital because of this horrific act, we get to see Oliver and Alice's lives in different stages - childhood, adulthood, and what could have contributed to him committing violence against his devoted wife. We get perspectives from Alice's exboyfriend, her mentally disable brother, and others. Oliver is a charismatic sociopath, but we never get to see him through the eyes of Alice. I would have been really interested to see what her experiences were with him throughout the length of their relationship. I did enjoy the writing but I felt like it dragged for a small portion in the middle and the ending felt like there was something lacking - only reason my solid 4 star review was rounded down slightly. Overall, if you're wanting a different approach to a lighter suspense novel, then this is the one for you! Seeing the mental spiral of a character is always intriguing and this was a solid debut! I'll definitely be looking for more from Liz!